Bath Salts 'Dreamy' Lavender + Chamomile Blend. Unwind. Destress. Relax. Vegan. After a long busy day, you'll love this dreamy blend of all-natural ingredients to get you ready for a peaceful slumber. 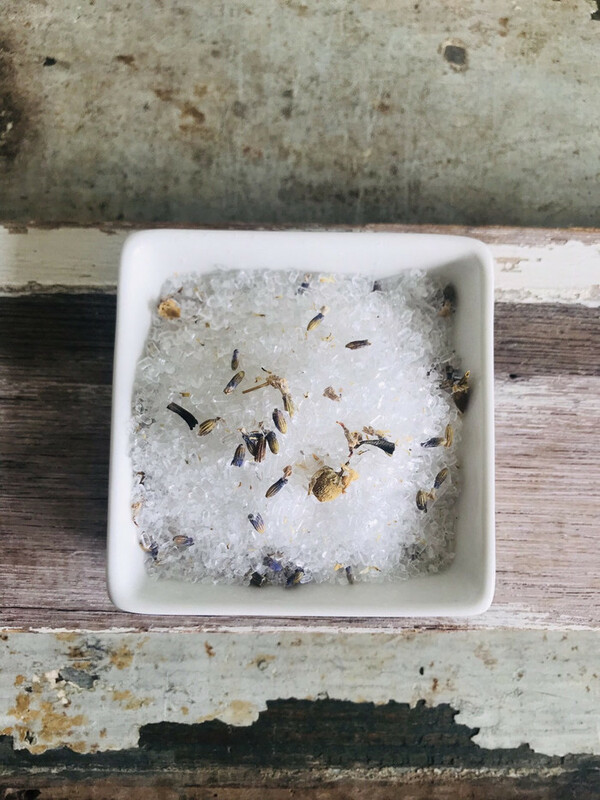 Ingredients: Epsom salts, sea salts, lavender buds, chamomile flowers. Lavender essential oils.